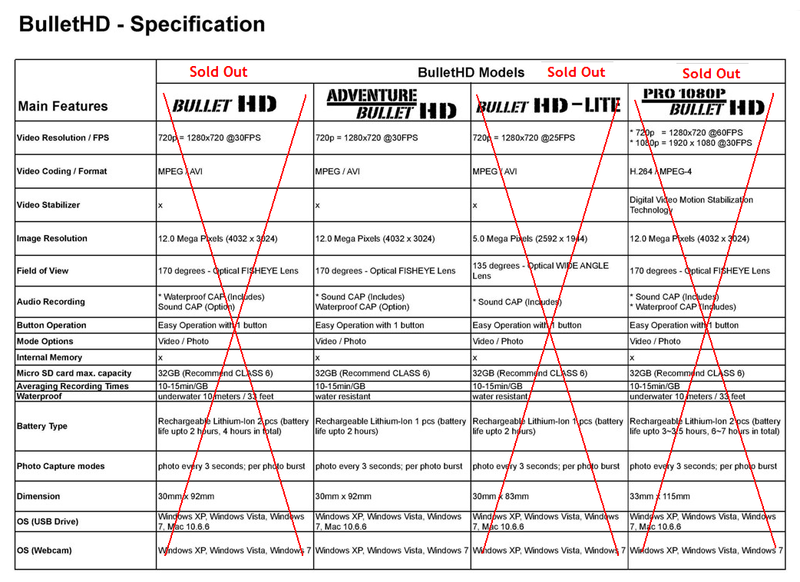 The Bullet HD Mini Fire Camera was the worlds first wearable camcorder with a 12.0 mega-pixel camera and 720p resolution! 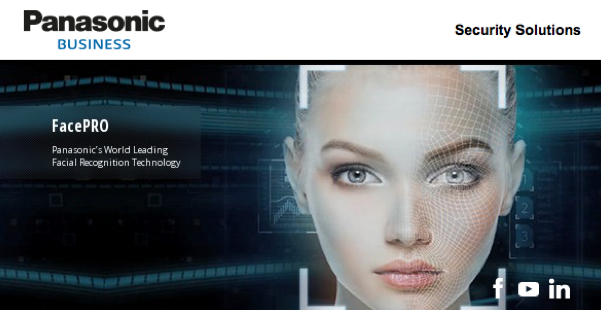 It’s as light as a feather, making it virtually unnoticeable with goggles and a helmet. The camera’s waterproof aluminum armored body makes this camera perfect for many applications! The Bullet HD Fire Camera Helmet Cam features a 170 degree wide angle lens that allows you to capture the entire scene without over-distorting the video. The Bullet HD Fire Camera Helmet supports micro SD storage cards allowing for the capturing of hours of HD video and quality images. Compatible up to 32GB micro SD card. Video format AVI – GB/10 mins. This camera can be mounted in a variety of ways! 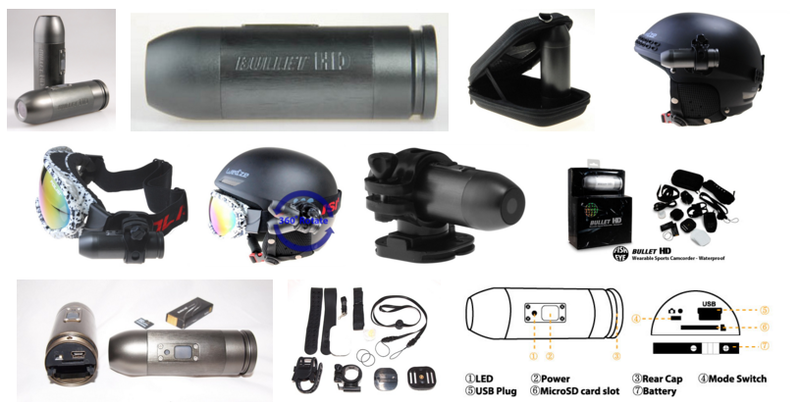 Mount the Bullet HD Fire Camera Helmet to your handlebars, goggles, helmet, vehicle, or any flat surface you can think of! Operation couldn’t be easy! The Bullet HD Fire Camera Helmet Cam features one button control for both video recording and image capture. No AA batteries are needed for this camera! The Bullet HD Helmet Camera is powered by a built-in, rechargeable battery that gives you 2 hours of continuous recording per battery. The camera’s waterproof aluminum armored body makes this camera perfect for extreme sports and operating in inclement weather! This camera’s unique body also allows it to withstand shock, vibrations, dust, dirt, mud and snow. Smallest 12 Mega Pixel Camera in the World! It’s as light as a feather, making it virtually unnoticeable with goggles and a helmet. The Bullet HD Fire Helmet Cam is the smallest and lightest 12 megapixel camera in the world!